Milano, 21-23 November 2018, University of Milano-Bicocca, Milano, Italy. You are kindly invited to attend to the NeuroMi 2018 Annual Meeting of the Milan Center for Neuroscience of the University of Milano-Bicocca. 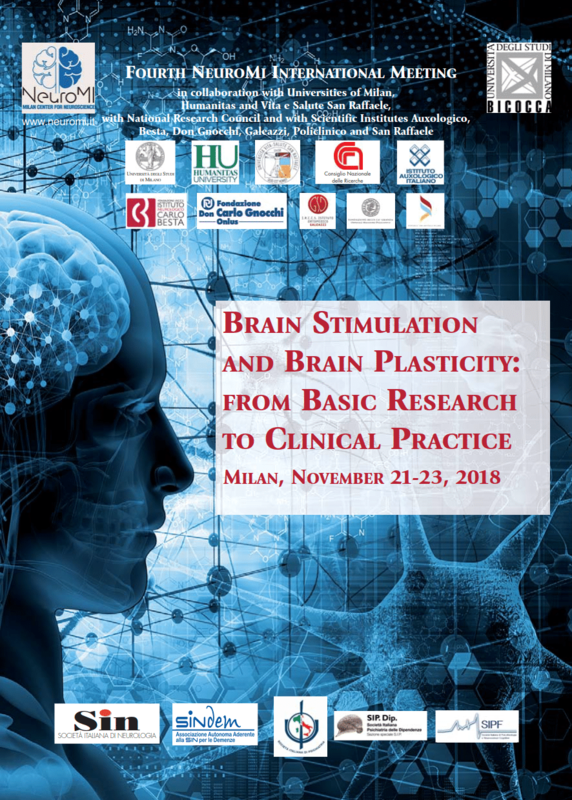 The symposia will cover biological foundations of brain stimulation induced neuroplasticity, non-invasive and invasive neuromodulation of neurological, psychiatric and neuropsychological functions. The details of the meeting can be found at http://www.neuromi2018.it and in the enclosed document. It is now possible to register for a single day at a reduced fee. We hope to see you in Milan.